Santa is flying into St. Mary’s Airport on Saturday, Dec. 22, to attend the county’s only Holiday FLY-IN Farmers Market at the terminal building at 44200 Airport Road in California, MD. 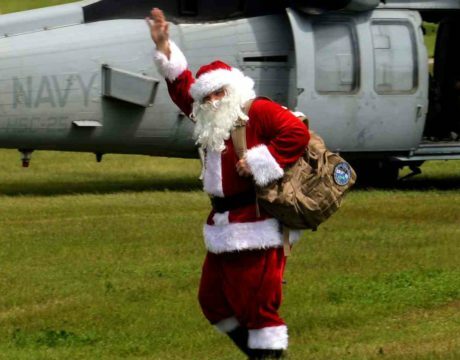 Santa is flying into St. Mary’s Airport, Saturday, December 22nd. Join the fun, 9 am to 2 pm, at this first FLY-IN Holiday Farmer’s Market, take the opportunity for some holiday shopping and catching some pictures with Santa. The Patuxent Partnership will hold its annual meeting on Tuesday, Oct. 31, 2017, at the Southern Maryland Higher Education Center in Center Hall in Building 2 at 44219 Airport Road in California. Schedule your next event at Sotterley Gardens, Barn, Plantation House Portico, Spinning Cottage, Warehouse or Riverside Pavilion; combine or customize to meet your needs. Mark your calendars for a program dedicated to workforce retention.